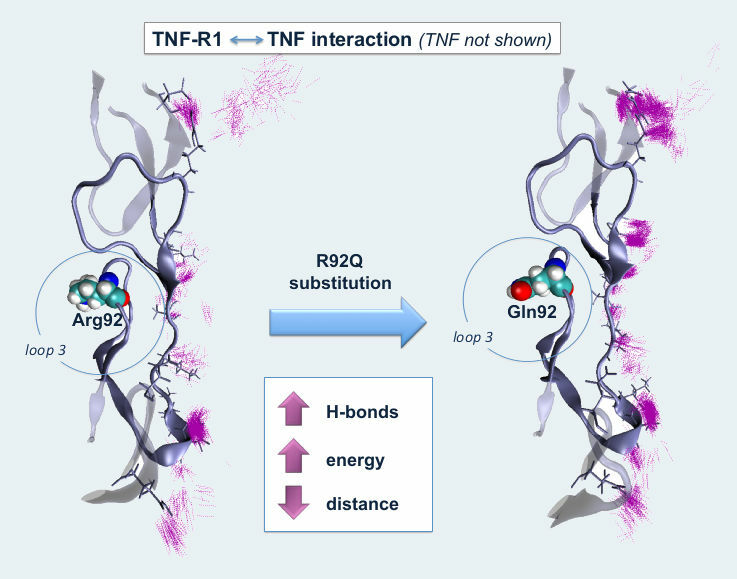 Our study Molecular dynamics and intracellular signaling of the TNF-R1 with the R92Q mutation has been accepted for publication in the Journal of Neuroimmunology. This work was started at the Centre d’Esclerosi Múltiple de Catalunya (Cemcat) and is a continuation of the previous paper TNFRSF1A polymorphisms rs1800693 and rs4149584 in patients with multiple sclerosis. Permanent link to this publication: Link. This entry was posted in Scientific publications and tagged autoimmune disease, molecular dynamics, multiple esclerosis, neurology, PCR, R92Q mutation, structural bioinformatics, TNF receptor. Bookmark the permalink.